The late Phil Agee revealed in his book Inside the Company how the CIA went around Latin America destabilising governments and parties it didn’t like. In American domestic politics there was a similar programme aimed at dissident and radical organisations known as Cointelpro, a series of covert projects conducted by the FBI that infiltrated, surveilled and disrupted domestic political organizations. For the past few months the Labour Party has been subject to a similar programme of destabilisation. A programme in which the Zionist movement played and is still playing a major role. From July 2015 onwards, when it became increasingly clear that Corbyn would win the leadership election, we had a campaign, initiated by the Daily Mail EXCLUSIVE: Jeremy Corbyn's 'long-standing links' with notorious Holocaust denier and his 'anti-Semitic' organisation revealed and fronted by the Jewish Chronicle under Stephen Pollard, its far-right editor and member of the Henry Jackson Society, The key questions Jeremy Corbyn must answer The aim of the campaign was to paint Corbyn as a ‘friend’ of ‘terrorists’ – Hamas and Hezbollah and an associate of holocaust deniers. When Corbyn became leader of the Labour Party, the campaign shifted to an attack on Gerald Kaufmann for having said at a meeting that it was ‘Jewish money’ that was responsible for the pro-Israel policy of the Conservative government. Groups such as the misnamed Campaign Against Anti-Semitism, an overtly Zionist political organisation masquerading as a charity [see EXCLUSIVE - Lifting the Lid on the Campaign Against Anti-Semitism The Bogus Charity that Campaigns Against Corbyn, Muslims and Palestinians waged a prolonged campaign against Kaufman as if he was the most notorious anti-Semite since Adolf Eichmann. When I searched the Jewish Chronicle’s database for ‘Jewish money’ I turned up no less than 590 occurences of this phrase! It is a phrase commonly used in the Jewish community. As an example of Zionist hypocrisy, on May 1st a former prominent Jewish funder of the Labour Party, Michael Foster, was given nearly 10 minutes of airtime on BBC Radio 4’s World at One programme to explain why Jewish people weren’t going to be funding the Labour Party whilst Corbyn was leader. Of course ‘Jewish money’ is only anti-Semitic when used by opponents of the State of Israel. Despite his outburst against Kaufman Alderman was remarkably tolerant in respect of David Whelan, the former owner of Wigan Athletic football club, who stated that ‘there is nothing like a Jew who sees money slipping through his fingers’ and when challenged by the Guardian responded that ‘I think they [Jews] are very shrewd people…. I think Jewish people do chase money more than everybody else. I don’t think that’s offensive at all.’ To most people this would count as anti-Semitism. Since then we have had the case of Vicky Kirby, an ex-Bradford Mayor who tweeted that 6 million Zionists died in the holocaust when complaining that even greater acts of genocide didn’t receive the same attention as the Jewish genocide and now of course Ken Livingstone’s reference to Hitler’s support for the Zionist solution to German anti-Semitism. Alex Chalmers was an intern with BICOM the Britain Israel Communications & Research Centre, which despite describing itself as an ‘an independent research centre’ is an Israeli propaganda group. analyses the role of New Labour MP and ex-NUS President Wes Streeting who attended a key anti-BDS Conference in Tel-Aviv. Streeting, who le arnt the tricks of the trade in NUS, is almost certainly working with the Israeli embassy and no doubt has other intelligence links. ‘Let’s remember when Hitler won his election in 1932, his policy then was that Jews should be moved to Israel. He was supporting Zionism – this before he went mad and ended up killing six million Jews.’ Labour antisemitismrow: Ken Livingstone interview transcipts in full These remarks can be best understood in the context of Hitler supporting the Zionist solution to German Jewry i.e. expulsion, though even this is not strictly accurate. 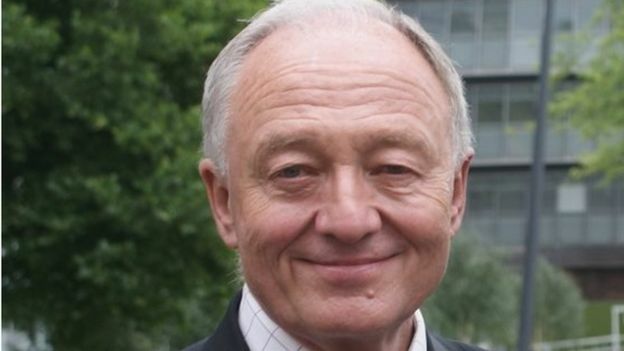 Ken Livingstone says Labour should reinstate himbecause everything he said about Jewish people "was true"
There is no doubt that Ken made a number of minor mistakes. Israel didn’t exist in 1933, the area was called Palestine, it was a British Mandate territory. Secondly Hitler didn’t win any election in 1932, on the contrary his vote in the November election compared to July dropped by 2 million to 11.74 million (33.09%) compared to 13.,23 million (37.3%) for the KPD and SPD. Hitler was put into power on January 30 1933 by reactionary political and military forces who sought the destruction of the German labour movement. 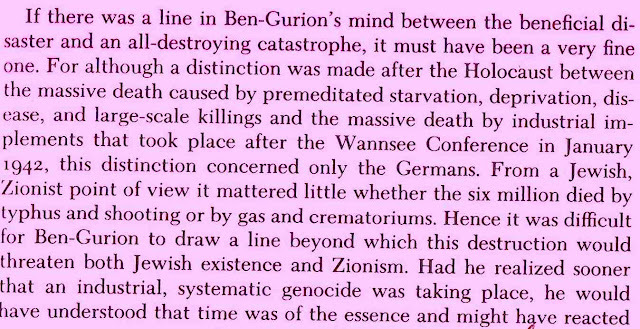 Thirdly the final solution was not a product of Hitler’s madness. Even without Hitler the final solution would have taken place. It was the product of war imperialism and the fanatical anti-Semitism of a section of the Nazi Party. The final solution had a logic and momentum of its own. When the expulsion of Jews was no longer an option after 1939 the countdown to the destruction of European Jewry had begun. It began in June 1941 with Operation Barbarossa. Livingstone’s comments weren’t the wisest thing to have made in the course of an ‘anti-Semitism’ witch hunt. However in essence they are correct. 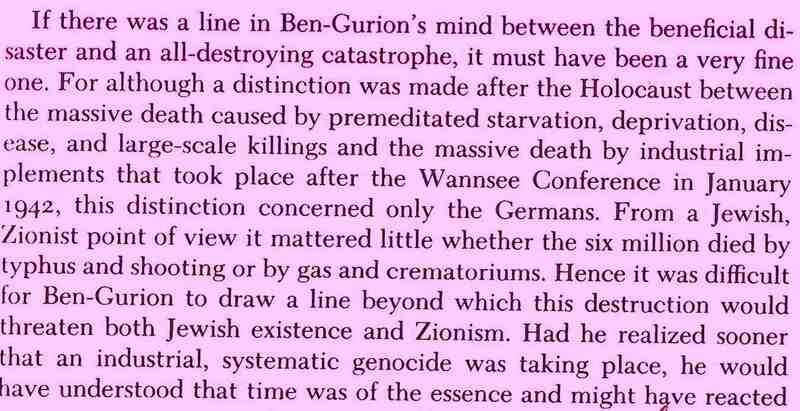 The Nazi movement singled out the Zionist movement as their favourite Jews. For example on 28 January 1935 Heydrich, the ‘“real engineer of the final solution” [Gerald Reitlinger, The Final Solution, p.13.] issued a directive to the Bavarian Gestapo that ‘The activity of the Zionist-oriented youth organisations…. lies in the interests of the National Socialist state’s leadership…. (they) are not to be treated with that strictness that it is necessary to apply to the members of the so-called German-Jewish (assimilationists).’ Lucy Dawidowicz, War Against the Jews, p.118, citing Hans Mommsen, ‘Der nationalsozialistische Polizeistaat’ pp. 78-9. The Zionists were allowed to organise, hold meetings, fly flags, have a newspapers whereas the ‘assimilationists’ were repressed. The Zionists used their patronage by the Nazis to encroach on the position of the majority of the Jewish community demanding parity in the Reichsvertretung, the Jewish communal organisation in 1935. Indeed they took over all the positions on the Reichsvereinigung, which was established in 1939 after Krystalnacht. The Zionist policy was that Jews should flee to Palestine or nowhere. Their twisted logic was that if other countries could solve the crisis of anti-Semitism in Germany and Europe then Palestine would be made redundant. In any case anti-Semitism, being a disease, would simply spread to other countries. Only Palestine could provide a long-term solution to anti-Semitism. It was a racial concept of humanity. The Zionists therefore lobbied the Gestapo not to allow Jews to emigrate to countries other than Palestine. It was a consistent Zionist policy to oppose the emigration of Jewish refugees to countries other than Palestine such as Santo Domingo which had offered to take 100,000 refugees as a result of the Evian Conference. It is essential that socialists defend Livingstone. The suspension of a National Executive member, a former MP and London Mayor and a figurehead of the Labour Left for the last 30 years marks a new stage in the witchhunt. According to reports, Corbyn was extremely reluctant to suspend Ken but he was bullied into it. 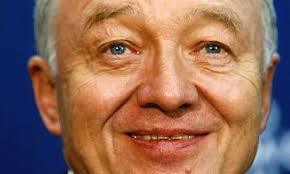 After a staged confrontation with the boorish bully John Mann MP, Livingstone was suspended. Popular opinion holds that it is Mann, not Livingstone, who should have been suspended. Mann is Chair of the Parliamentary Committee on anti-Semitism which devotes its time to opposing BDS and support for Palestinians. One tweet, issued in the middle of Israel’s genocidal Operation Protective Edge in the summer of 2014, when 2,200 people in Gaza were murdered by Israel, including 551 children, was to joke that Israel should be relocated inside the United States as this would save the US the trouble and expense of maintaining the Israeli state and preserve Palestinian life. She displayed a map showing Israel as the 51st state of the USA. It turns out that this was produced by Norman Finkelstein, a Jewish American academic and anti-Zionist who is the son of two holocaust survivors. There was nothing anti-Semitic about this map. It was a twitter type fantasy solution to the problem of Israel’s barbarism. To the humourless and vindictive squad of Progress MPs such as Mann and Streeting, Naz Shah was the next worst thing to Eva Braun and she was forced to resign her position. She was suspended from the Labour Party and forced to make a humiliating apology like a prisoner in a Stalinist re-education camp. When Vanessa Feltz asked me why she would confess to anti-Semitism if she wasn’t guilty I explained that there have been many false confessions in history, such as the defendants in Stalin’s purge trials. It’s not difficult to persuade someone that they are guilty if you apply enough psychological pressure and you see your career disappearing before you. The BBC has also lived up to its reputation. It has afforded the Labour Right every opportunity to air their allegations whilst denying anti-Zionists a platform. There has been an almost one-sided media barrage. One of the only exceptions was the BBC Big Questions programme on Sunday May 1st at 10 am when there are relatively few viewers. Moshe Machover, Daphne Baram and myself were widely considered, even by Zionists, to have trounced those who alleged that anti-Semitism and anti-Zionism are one and the same thing. I also did an interview with Vanessa Feltz, BBC London’s Zionist interviewer where I refused to be diverted from explaining why Israel is an apartheid society, but these are very much the exception. One of the most egregious examples of BBC bias was that of Andrew Neil’s Sunday Politics show on March 18th which gave MPs West Streeting and John Mann opportunity to wax at length about Labour’s ‘anti-Semitism’ problem. Neil himself is a former Murdoch editor and Conservative Party research assistant. James Schneider, a supporter of Corbyn was given just 25 seconds whereas Streeting had 45 seconds and Mann was allowed 6 minutes and 4 seconds. Andrew Neil, rather than subjecting his claims to cross-examination, urged Mann on to greater excesses. Take for example this penetrating question: ‘‘Why has it [anti-Semitism] come back?’ Note that Neil assumes the very thing he is asking. Corbyn has shown not only spinelessness throughout this affair but a culpable failure to understand what is at stake. He has continuously rowed back from the positions he adopted in previous years. Alongside MPs such as the late Joan Maynard he was a sponsor of the Labour Committee on Palestine and the Labour Movement Campaign on Palestine, both of which I chaired. These organisations supported a democratic, secular state solution in Palestine. We opposed a 2 state solution which at that time was supported by George Galloway’s Middle East Council! George has now come round to our way of thinking! If Livingstone is expelled from the Labour Party Corbyn will not last long as leader. John McDonnell has taken an even worse position. He backed off last September from his comments over Ireland. Now he has added Palestine to his retreat from the Left. Rather than sacking Naz Shah he should have backed her. Instead with his ‘out, out, out’ remarks about alleged anti-Semites he has encouraged those making false allegations to greater efforts. Momentum under Jon Lansman has been equally abysmal. 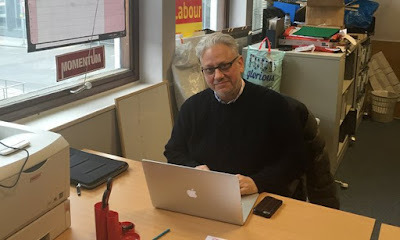 Lansman has held secret talks with Labour Friends of Israel and the so-called Jewish Labour Movement, the British branch of the racist Israeli Labour Party in order to reach some form of agreement. It’s like the chicken negotiating for a safe pass from a fox. Lansman openly criticised Livingstone and supported his suspension. In Left Futures Why the Left must stop talking about ‘Zionism’ Lansman argues that we should drop all mention of Zionism. The movement that founded the racist settler colonial state of Israel should not be mentioned even though the World Zionist Organisation is alive and kicking, funding the settlement of the Palestinian territories. Netanyahu proclaims that in the name of Zionism he cannot admit refugees to Israel, because it would undermine the national identity of the Jewish state. IsraelPM: illegal African immigrants threaten identity of Jewish state. Binyamin Netanyahu reignites row over fate of thousands of African migrants in Israel Harriet Sharwood, The Guardian, 20.5.12. 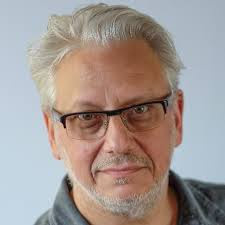 Lansman argues that if we pretend there is no such thing as Zionism then all the cries about anti-Semitism will go away. Such is the craven attitude of left social democrats when they come under any pressure. 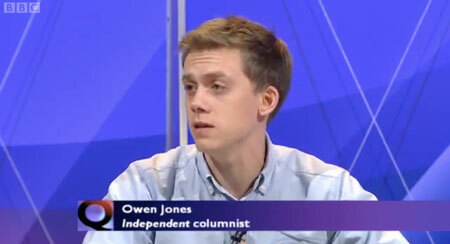 Owen Jones, the Guardian’s token left commentator, has demonstrated that he is both politically and intellectually a light weight. For the last 3 years he has written an annual article deprecating ‘anti-Semitism’. Two of them even begin with the same fatuous phrase ‘anti-Semitism is a menace.’ He is incapable of understanding that when Israel is killing Palestinians, Zionists cry ‘anti-Semitism’. 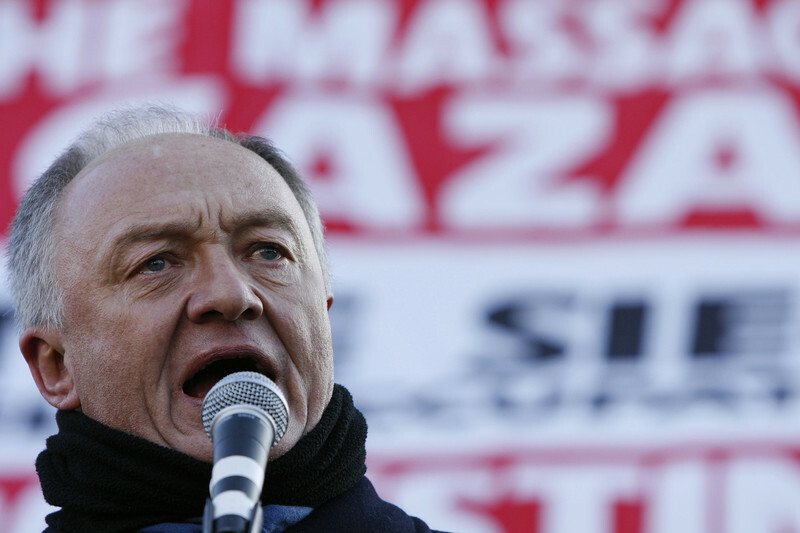 It is not necessary to defend everything that Ken Livingstone said in order to oppose his suspension. Defending Livingstone goes hand in hand with opposing the new McCarthyist witch hunt. Whereas Joe McCarthy was an anti-Semite, his disciples come in the guise of opponents of anti-Semitism.